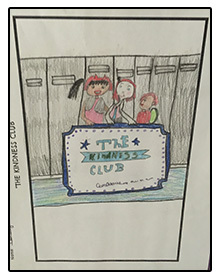 "Imagine what a better world we'd live in if Kindness Clubs spring up at every school. 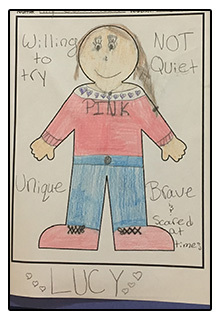 Fifth grader Chloe Silver is good at looking on the bright side. But staying positive has been difficult since her parents divorced and she had to start at a new school. When Chloe is given the chance to try out for the exclusive It Girls club, things are finally looking up again. Then Chloe is assigned a science project with offbeat Lucy Tanaka and brainy Theo Barnes. 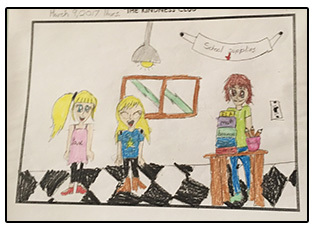 Together they create an experiment that tests how people react to different acts of kindness, officially forming the Kindness Club. Lucy and Theo are fun to be around, and their new club means a lot to Chloe. But the It Girls don't want to share Chloe with anyone else. How can Chloe be kind to all of her friends, and still stay true to herself? I'm visiting schools to talk about The Kindness Club. Creative and fashion-forward Lucy Tanaka was thrilled when Chloe Silver moved to town. 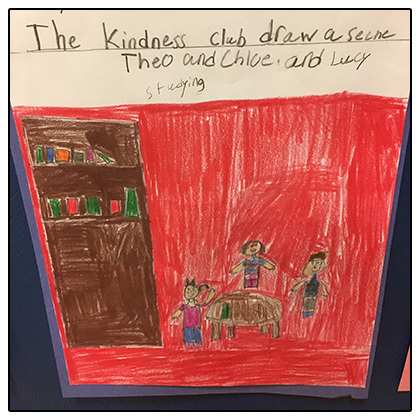 Together with Theo Barnes, they formed The Kindness Club, testing different acts of kindness on their friends, neighbors, and siblings. One day, Lucy learns that their classmate, Serena, recently lost her mother. On top of that, it's Serena's birthday next weekend. 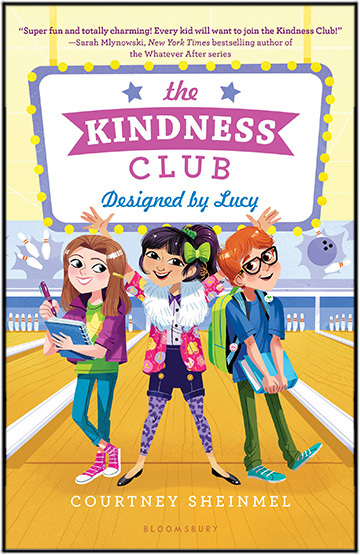 Lucy is determined to lift Serena's spirits, and she knows the perfect way to do it -- rallying the Kindness Club to throw Serena the best birthday party ever at her family's bowling alley. "The Kindness Club has a great message, and it was fun to read at the same time! Once I started reading, I couldn't put it down (even when my brother begged me to stop and play games with him)." –Avery A, age 9. "This book was so good that it only took me one day to read it. I learned that it's always the right choice to be kind. I also love the main character's name." –Chloe B, age 9. "After my mom read The Kindness Club to me, I took pennies from my piggy bank and dropped them around my school for other kids to find." –Daniel C., age 7. 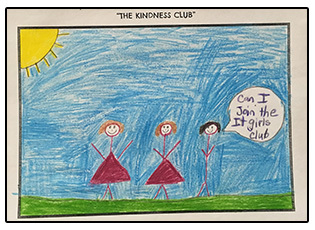 "I loved The Kindness Club! It's a great story that helps kids realize exactly why you should always be nice, because you never know what someone else is going through. 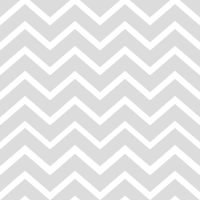 There were a lot of things in the story that happened in my real life, too. 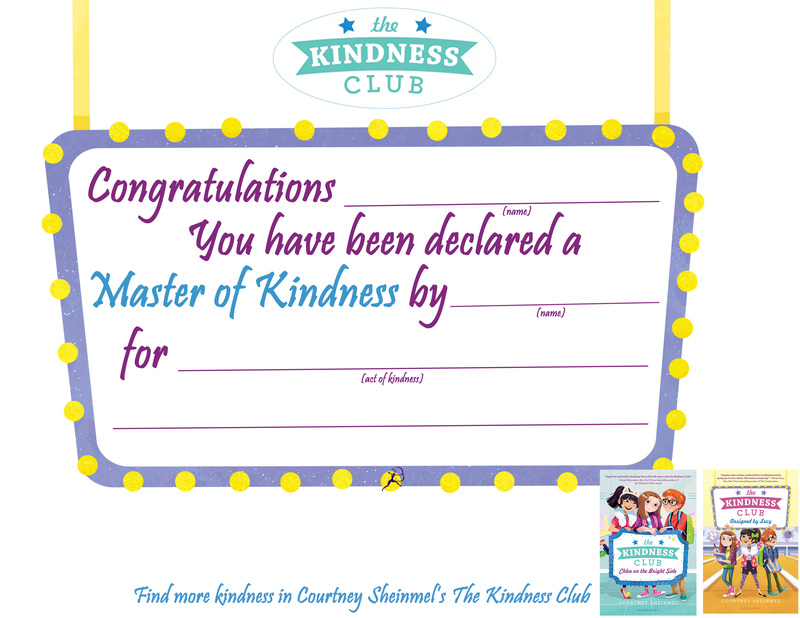 I didn't want the book to ever be done, and now I want to start my own kindness club!" –Rachael C., age 10. "This is an engrossing story about an average girl who goes out of her way to do amazing things. Readers will learn the difference between good friends and popular friends, and maybe they'll be inspired to do amazing things, too. That would be cool. "—Maverick C., age 10. "There's a lot of cool and surprising stuff in this book, plus some good tips about things you should do to be kind, like making cookies for other people. 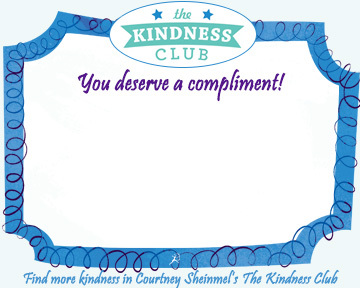 I think starting a kindness club is a great idea for how to make more friends." –Asher F., age 9. "This book is amazing and everyone should read it if they want to learn how to make decisions and what it means to be kind. It also teaches you a useful lesson about how to cut onions and not cry." –Tesa G., age 10. "I loved this book! I look forward to reading it again and I can't wait for the second book to come out!!!" –Anjali K., age 8. "Do you know that feeling when you want to do something for the rest of your life? 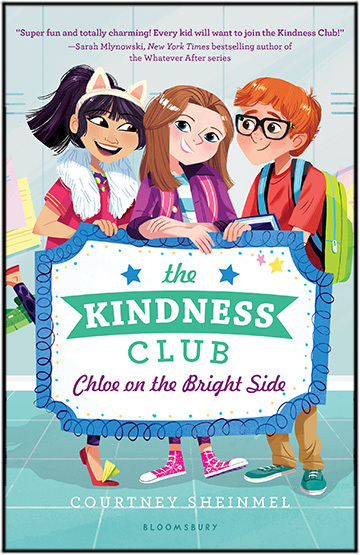 I want to read The Kindness Club for the rest of my life!" –Livy K, age 8. "Courtney Sheinmel is one of my favorite authors and I love this book. It connects to things we're learning in school. 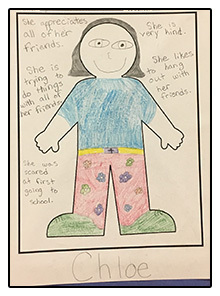 I would like to form a kindness club in school because some people sometimes tease other people, and if someone has something mean to say they should keep it to themselves." –Sasha L, age 8. "This is a fun and fast read that I recommend to anyone who wants to read a positive story about friendships." –Abigail M., age 11. "I think boys and girls will relate to this book. It was awesome. I read it in two days and it kept me on the edge of my seat the whole time. I definitely want to read the rest of the series." –Madden S, age 11.